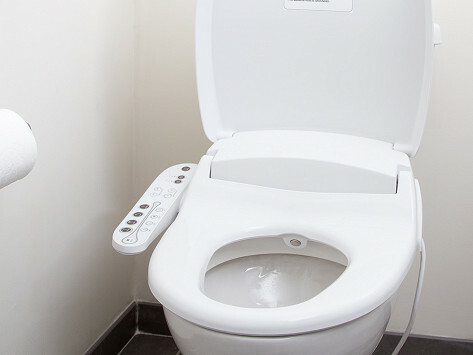 Get a full bidet experience every day with this bidet toilet seat. It installs easily with just a few tools on the toilet you already have. This electric seat has adjustable water pressure you can customize to your liking as well as customizable cleaning modes, optional heat, and a built-in night light. Dimensions: 18.11" x 20.9" x 5.98"
Love you and love your products. Thank you. Best bathroom addition for anyone and everyone!! Does everything it says it does. 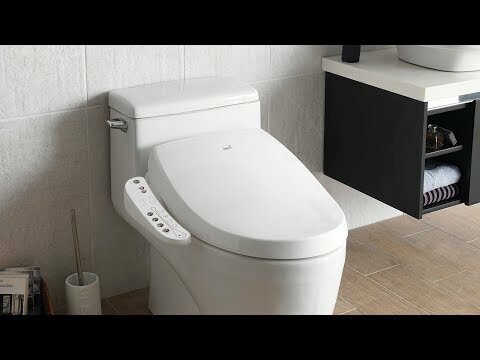 We found bidet toilet seats and an attachment that deliver an ultra-clean experience with the toilet you already have. Bidets are a bathroom staple in other parts of the world, but aren’t as common here in the U.S.—and the team at Biobidet is out to change that. They’re passionate about the cleaning power a bidet delivers, and believe that water is a more thorough and hygienic (not to mention eco-friendlier) approach than toilet paper. So their products are made to be accessible to anyone, and to easily work with an existing toilet. Besides making sense from a washing perspective (there’s no other part of us that we wash without water, after all), bidets are helpful for folks with mobility issues who have trouble reaching and gentle for people with skin sensitivities. But we think just about anyone will see the appeal of getting clean with water once they try these everyday bidets.